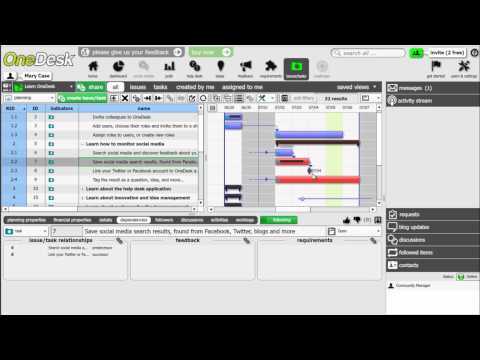 Ever wondered how to do a gantt chart using OneDesk’s powerful project management tools? OneDesk’s Gantt charts, enable you to visually display bar charts which help you to organize and manage your projects. They also allow product and project teams to stay in sync with tasks and assignments. Finally, Gantt charts are extremely useful because they allow you to schedule tasks over time by creating relations between various tasks and items.